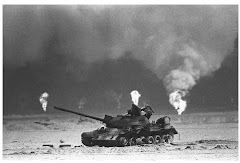 After a former CIA employee told a team created to investigate Gulf War illness that 1.5 million documents exist detailing poisonous gas exposures during Operation Desert Storm, Congress is asking the CIA to review the secret classifications of those documents. The intelligence authorization bill now includes language that would require the CIA to review the classification of those documents, with the intent of declassifying them. 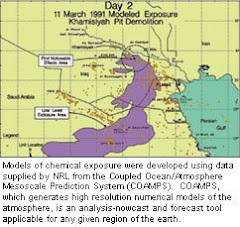 Studies have shown that veterans exposed to sarin — which the military accidentally doused troops with when the 82nd Airborne Division destroyed an Iraqi chemical weapons dump in Khamisiyah in 1991 — are more likely to suffer from symptoms of Gulf War illness. Research has shown the risk is heightened if service members also took anti-nerve-agent pills and were exposed to a lot of pesticides, according to the Department of Veterans Affairs Research Advisory Committee on Gulf War Veterans Illnesses. Exposure data also might help scientists determine connections between how much exposure a person received and what kinds of symptoms he has now. One in four Gulf War veterans suffer symptoms, including chronic fatigue, loss of muscle control, headaches, dizziness, memory problems and joint pain. Recent research shows some veterans many have experienced physical changes to their brains that fall in line with toxic-agent exposure. For five years after the end of the war, the Pentagon and CIA said no chemical weapons had been within range of troops during the conflict. In 1998, a CIA Inspector General report said as many as 1.5 million documents may help determine the extent of toxic exposures, but the agency did not review those records. The amendment to HR 2701 asks that those documents be reviewed within one year.